None of the version of Windows operating system allows you lock individual folders with passwords. In simple words, you can’t password protect folders without the help of third-party tools in Windows. Although there is an option to hide folders, the feature is of no use as most Windows users are aware of this feature. Users who would like to lock folders with passwords to protect their data have no option but to go for third-party utilities. There are tools from popular software companies but most of the folder locking software out there are not free. That said, there are a few free folder locking utilities exist for Windows operating system. In this guide, we will talk about the top four free folder locker software available for Windows. Note that we have omitted many tools from the list as they try to install malware or adware on your PC. All below mentioned free tools support Windows 7, Windows 8 and Windows 10. 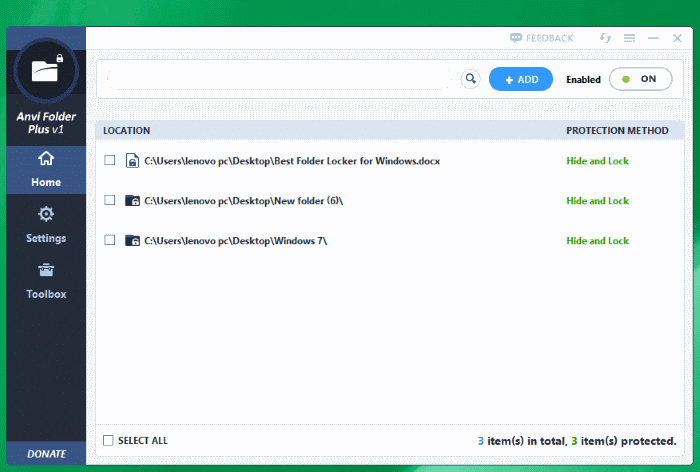 When it comes to free folder locking, SecretFolder is our favorite utility for the job. 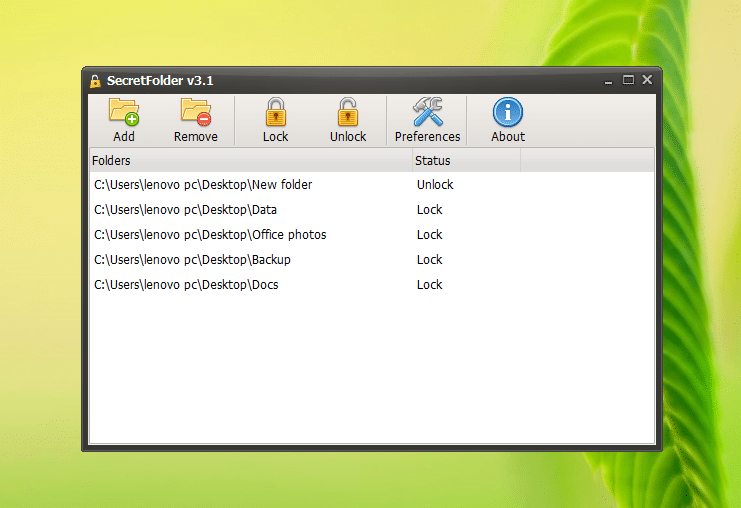 We have recently talked about SecretFolder and explained why it’s the best free folder locking software. It’s worth noting that SecretFolder can’t uninstalled without entering the password that you have set to protect your important folders, meaning even if a user gains access to your PC, s/he can’t access your protected folders by uninstalling SecretFolder program. The downside is probably its very basic user interface. But it doesn’t matter as long as it does its job without any issues. HiddenDIR is another nice program designed to password protect your folders with ease. The application sports a much polished interface when compared to other similar programs in its class and is very easy to use. 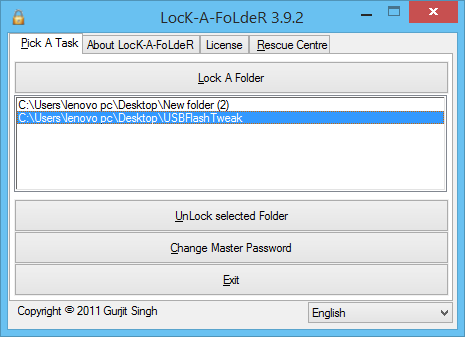 Lock-A-folder is another free software to password protect folders. Just like other folder locking tools, you need setup a master password and then add favorites that you want to make invisible and lock. Just like SecretFolder software, it can’t be uninstalled without the master password. You need to enter the master password in order begin the uninstallation, meaning anyone who has access to your PC can’t uninstall Lock-A-Folder and access your protected files and folders. Unfortunately, the developer behind this project has abandoned the project, meaning there won’t be any updates in future. The user interface is very basic but usable. 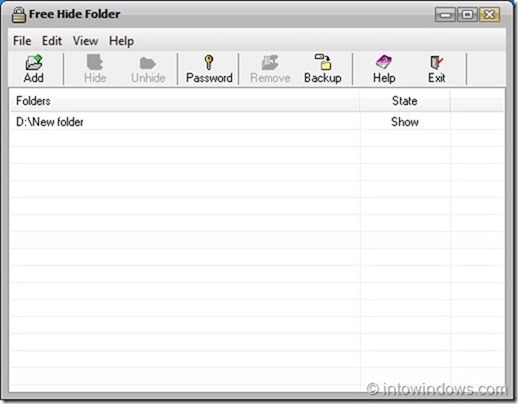 Free Hide Folder is just another program to lock and hide your important folders in Windows. If you are aware of any good free folder locking software around, please let us know by leaving a comment. Anvi Folder Locker is yet another free software available to password protect your data for free on Windows 10. It functions similar to other tools mentioned above and has a better user interface. It adds Lock with Anvi Folder Locker option to the file context menu so that you can lock files quickly and easily. I don’t get something about Anvi Free Folder Locker. After I lock my external hard drive with Anvi on my own PC, suppose somebody takes that hard drive away and connects it to his own PC, will my folders still be locked by the Anvi Free Folder Locker ?? Tony Top, thanks for the crucial information. The April 2018 Windows 10 update results “Free Hide Folder” to forget your password so any hidden folders or files can’t be accessed. What About Folder Lock developed by Newsoftwares? Though it’s paid but is very good. I’m myself using it too. Thank you for the amazing compilation! Great blog. Installed Secret Folder and it is working fine on Windows 10. First user who commented, that it doesnt work, might be using Bit32 OS, it runs on bit64. The first software SecretFolder simply doesn’t work on Windows 10. It shows the error message “can not be added to the system folder” when adding folders. Useless! Don’t download! Thanks mate! Loved your tips!